Hi Friends! It's FRIDAY - Woo Hoo! Here's a random list of stuff going on with us this week, with a giveaway at the bottom. 1. The BEST Winter Pants. Yes, I realize it's almost summer. And no, I don't normally buy "camo" clothing items. But last week when we were headed to Hereford to breed heifers we hit snow & hail, so we stopped at a local farm store and it was kind of a "figure out whatever is going to work quickly and doesn't cost an arm and a head" kind of shopping trip. Since it was May, their winter selection wasn't exactly abundant, but these were on clearance and fit, so they got purchased. I'm sure glad I got them! Under Armour's "Ayton" pants are awesome. They're soft and don't make noise, they're warm, they have an elastic waistband and zippers on the legs and they're water resistant. And the picture above shows what they looked like after a full day out breeding in the weather - I thought the manure would just soak in, but it just dried and brushed right off! I don't really wear Under Armour (except for one shirt I stole from Clint that was a Christmas present that ended up being too small for him) so I don't have a lot of experience with it. Basically, if these hadn't have been on clearance (they were still kind of expensive) I wouldn't have bought them. But now that I've worn them, I'd buy a pair of these pants at full price - that's how good they are. Here's a link to the pair I bought, and this pair is really similar. 2. 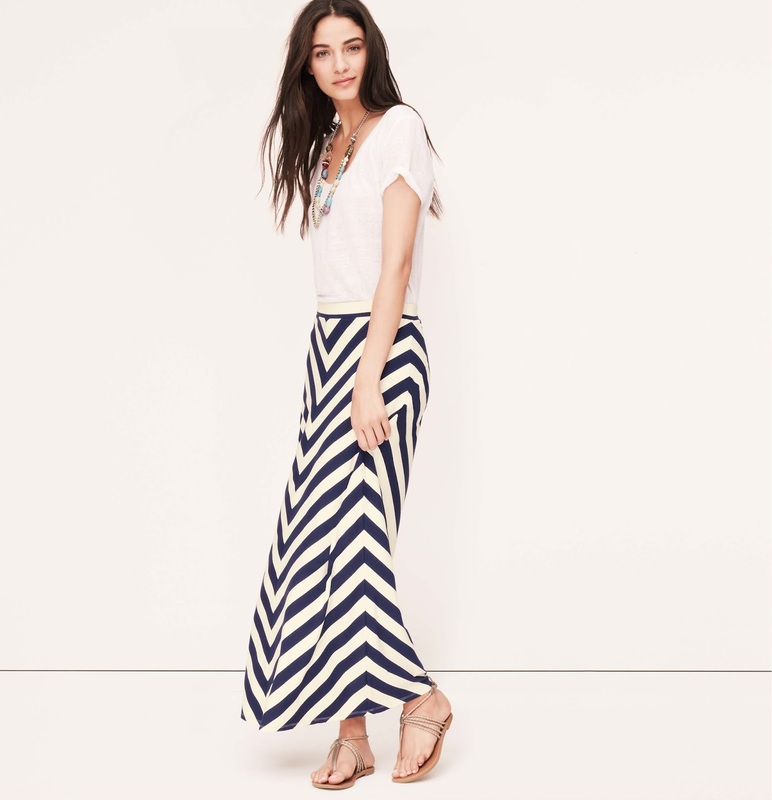 A Great Maxi Skirt. Two weeks ago, before we left for Nebraska, one of the gals in my office wore a super cute striped maxi skirt. She got it at Wal-Mart, so after work I went to look for myself, and while they didn't have the striped skirt they did have black in my size. I picked one up and wore it last weekend to the funeral. It was super comfortable, looked nice and wasn't see-thru at all. I wore it to work this week and am still in love with it! The best part - the skirt was only $12. It's my first time owning a maxi skirt, so this is probably old news, but they're just as comfortable as a pair of yoga pants, only acceptable to wear in public & to work. Now that I have one, I also want this one from Loft (shown below) but I'm going to wait until it goes on sale. Maxi skirts & camo pants for the win! We're in need of some. It's probably a good thing we're headed to Jordan Valley for a relaxing weekend at the Johnsrud's as we partake in the Jordan Valley Big Loop! Rumor has it that these two are entered in the Big Loop. When Clint said he & Morgan had entered JV, I asked "In what?!?". Clint was practicing his "big loop" earlier this week as we were moving cows down the road. At Jordan Valley they measure 20' out on your rope and mark it with red tape, and your loop has to be at least that big to have a legal catch. Look for rodeo pictures next week! Pictures from last year are here. The last Bare Mineral giveaway seemed to be popular, so I'm doing another one! Included will be a full size version of my new favorite lipgloss - it's the Marvelous Moxie lipgloss in "Maverick" - along with some of my other favorites! This is a trial size I keep in my purse, but the winner will get a full size! I'll leave comments open for a week, and choose a winner next Friday, May 23! *If you're having problems commenting on the blog (still can't quite figure out why it isn't working) just leave a comment on my Facebook post with this link and I'll get you entered! And if you're in JV this weekend, I'd love to see you and say hi! I am still dressing in snow pants and all my winter clothes! It's 42* this morning, 10* warmer than any day this week. Makes for a chilly morning 4-wheeler ride during chores. The afternoons have been nice. Yeah for you to find a good pair of pants. They are few and far between, buy extras. Seems like I find something I like and can't get it again. Yesterday morning and this morning it was close to 6 am before we got up! Amazing what an extra hour or hour and a half can do for a person. Robyn - I'm glad to hear you're getting some extra sleep. I would totally agree with you - that extra hour or so TOTALLY makes a difference. I bet you'd love these pants, I know you get cold easily and they kept me warm all afternoon. They make a coat too that looks like a full zip sweatshirt - I bet it'd be great for blocking the wind. Hilarious, I think Alayna has that exact same MAXI SKIRT!! Am I allowed to enter again..? Lol. I'm not a big camo person, but I would most definitely go for the outerwear! Of course you can! :) And I got your thank you note in the mail, thank you! I wish I would have known about the $12 maxi skirt a few months ago while my belly was growing and nothing fits... maybe I will need to get one while my belly shrinks back... so I am going to pock maxi skirt! Camo pants. Following you from Wyoming and we aren't done with the cooler temperatures yet!